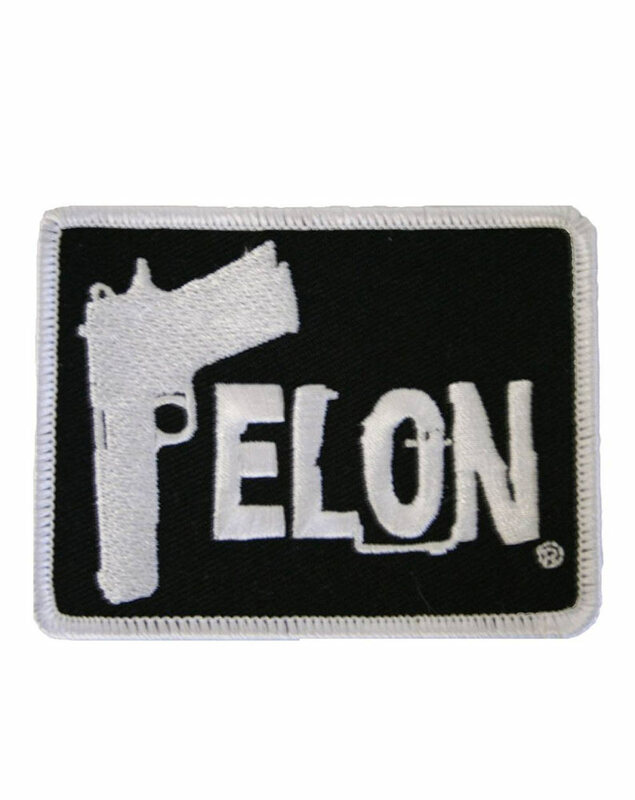 .45 embroidered patch by Felon. Available in black/white only. Great for vests, jackets, and hats.